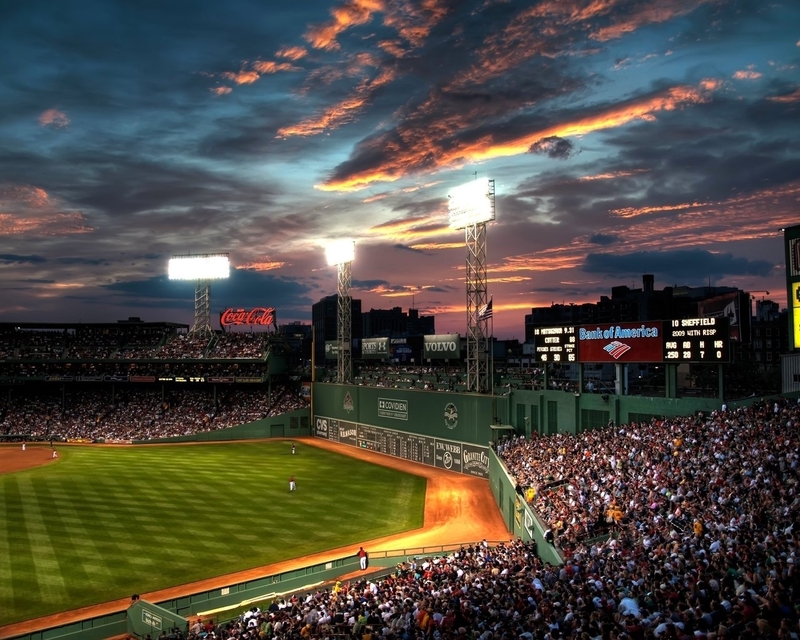 It is a shame that a City like Miami has had the fortunes of winning 2 World Series in the last 16 years, yet the management takes the fanbase in Florida for granted. 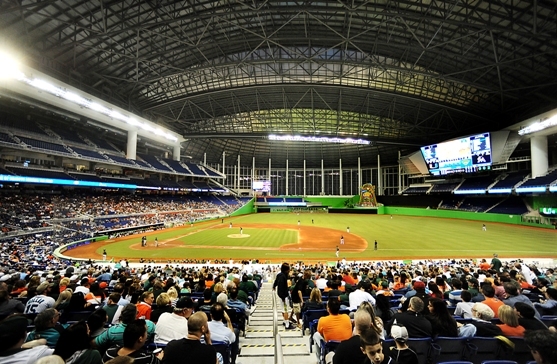 This act led to a major decrease in attendance at the New Marlins Ball Park this year. The Mets and the Marlins 20-inning duel was the longest MLB game of the season of 2013, lasting six and a half hours, or roughly one-third of Ted Cruz’s speech at the senate floor a few weeks ago. Posted on November 2, 2013, in MLB Payroll and Contracts, On the Verge: MLB Prospects, Organization Depth Charts MLB and MiLB Affiliates and tagged 1b Chad James, 1b/3b Ryan Tucker, 2013 Baseball America's Top Ten Prospects, 2b Scott Cousins, 3b Chad James, 3b Gaby Sanchez, 3b J.T. Realmuto, Aaron Dudley, Adam Conley, Adam Reifer, adeiny hechavarria, Alejandro Ramos, Alejandro Sanabia, Alex McClure, Alfredo Lopez, Alfredo Silverio, Andrew Heaney, Andy Barkett, Andy Beltre, Andy Haines, Angel Espada, Angel Sanchez, Anthony DeSclafani, Anthony Gomez, Arquimedes Caminero, Audy Ciriaco, Austin Barnes, Austin Brice, austin kearns, Auston Nola, Batavia Muckdogs (NYP) Dave Berg, Batavia Muckdogs PITCHERS, Batavia Muckdogs POSITION PLAYERS, Beau Wright, Ben Lasater, Blake Barber, Blake Logan, Blake McGinley, brad hand, Brad Mincey, Brent Keys, Brian Dice, Brian Ellington, brian flynn, Bryan Evans, Bryan Petersen, c Adam Conley, c Chad James, c Isaac Galloway, c Marcell Ozuna, Cameron Flynn, Chad James, chad qualls, Charlie Corbell, Chipper Smith, chris coghlan, Chris Gutierrez, chris hatcher, Chris Valaika, christian yelich, Chuck Booth. fastest 30 ballgames, Chuck Hernandez, Cody Keefer, Colby Suggs, colin moran, Collin Cargill, Cory Hart, Damon Minor, Dane Stone, Daniel Jennings, Daniel Oliver, Daniel Pertusati, Danny Black, derek dietrich, Donald Beaver, Donald Moore, donovan solano, Drew Steckenrider, duane below, Ed Lucas, Edgar Olmos, Elih Villanueva, Felix Munoz, Frank Moore, Frankie Reed, Gary Thurman, giancarlo stanton, Gil Velazquez, Grant Dayton, Greensboro Grasshoppers (SAL) Donald Moore, Greensboro Grasshoppers PITCHERS, Greensboro Grasshoppers POSITION PLAYERS, greg dobbs, Gregory Nappo, henderson alvarez, Isaac Galloway, Jackonville Suns POSITION PLAYERS, Jacksonville Suns (EAS), Jacksonville Suns PITCHERS, Jacob Realmuto, jacob turner, Jaime Ortiz, Jake Esch, jake marisnick, Jake Smolinski, James Leverton, James Nygren, Jared Rogers, Jay Jackson, jeff kleiner, jeff mathis, jeffrey loria, Jesus Solorzano, Jheyson Manzueta, Joe Coleman, Joey Cora, Joey Espada, John Duffy, Jonathan Albaladejo, Jordan Brown, Jorge Hernandez, Jose Behar, Jose Ceballos, jose ceda, jose fernandez, Jose Rodriguez, Jose Urena, Joseph Mahoney, Joseph O'Gara, Josh Hodges, Josh Wall, Joshua Adams, Jr., juan pierre, Juancito Martinez, Jupiter Hammerheads (FSL), Jupiter Hammerheads PITCHERS, Jupiter Hammerheads POSITION PLAYERS, justin nicolino, justin ruggiano, Kentrell Dewitt, Kevin Cravey, kevin kouzmanoff, Kevin Mattison, Kevin Randel, kevin slowey, Koyie Hill, Kyle Jensen, Kyle Skipworth, lhp 2010 Baseball America's Top Ten Prospects, lhp 2011 Baseball America's Top Ten Prospects, lhp 2012 Baseball America's Top Ten Prospects, lhp Adeiny Hechavarria, lhp Christian Yelich, lhp Jake Marisnick, lhp Matt Dominguez, lhp Noah Perio, lhp Rob Rasmussen, lhp Scott Cousins, logan morrison, marcell ozuna, Mark Canha, Marlins POSITION PLAYERS, Mason Hope, matt diaz, matt dominguez, Matt Juengel, Matt Milroy, Matt Neil, Matthew Montgomery, Miami Marlins PITCHERS, Michael Brady, Michael Dunn, Michael Hill, Michael Main, Miguel Fermin, Mike Bauer, mike redmond, Mike Schline, mike stanton, Mitch Talbot, nathan eovaldi, New Orleans Zephyrs (PCL), New Orleans Zephyrs PITCHERS, New Orleans Zephyrs POSITION PLAYERS, Nick Green, Nick Wittgren, Noah Perio, of, of Adam Conley, of Andrew Heaney, of Jhan Marinez, of Jose Fernandez, of Justin Nicolino, of Kyle Skipworth, of Logan Morrison, of Marcell Ozuna, of Rob Rasmussen, of Scott Cousins, Pedro Mendoza, Peter Andrelczyk, Peter Bragan, placido polanco, Ramon Benjamin, Ramon Del Orbe, Raudel Lazo, Rehiner Cordova, Reid Cornelius, Rett Varner, rhp Christian Yelich, rhp J.T. Realmuto, rhp Kyle Skipworth, rhp Matt Dominguez, rhp Osvaldo Martinez, Rob Waite, Robert Brantly, Robert Morey, Ron Hassey, Ronald Barnes, Rony Peralta, Ross Wilson, Ryan Fisher, Ryan Goetz, Ryan Newell, Ryan Rieger, ryan webb, Sam Dyson, Scott Lyman, Scott McGough, Sean Donatello, Sharif Othman, ss Brad Hand, ss Jose Urena, Steven Ames, Steven Cishek, Taylor Krick, Terrence Dayleg, tino martinez, tom koehler, Tony Caldwell, twitter @chuckbooth3024, Tyler Higgins, Viosergy Rosa, Wilfredo Gimenez, www.prosportsrosters.com, Yefri Perez, Yordy Cabrera, Zachary Phillips, zack cox. Bookmark the permalink. Leave a comment.